AKIPRESS.COM - The United States Agency for International Development (USAID) will host a two-day forum to introduce Kyrgyzstan’s tourism destinations and new tourism products to tour operators from Kazakhstan, Tajikistan, and Uzbekistan on April 27-28, the U.S. Embassy in Bishkek said. The forum “Discover Kyrgyzstan: Trends, Opportunities, and Innovations” will bring together over 200 representatives of tour operators and tourism organizations from across the country to help them connect with their counterparts in Central Asia. The forum will feature presentations and demonstrations of new tour products highlighting Kyrgyzstan’s nomadic culture – Salbuurun, Kyrgyz cuisine and handicrafts – as well as more than 50 new mountain trails for trekking, biking, and horseback riding covering over 2,000 kilometers developed with USAID’s support. Guests will have a chance to taste Kyrgyzstan’s culinary offerings including beshbarmak, plov, ashlan-fu, and boorsok to demonstrate the multi-cultural experience of travel in Kyrgyzstan. The event will also feature a yurt village where Kyrgyz destinations will demonstrate samples of their tourism offerings. The second day is devoted to master classes and networking sessions. International tourism experts will discuss social media marketing, customer service delivery, and promotion of Kyrgyzstan’s unique tourism offerings in international markets. 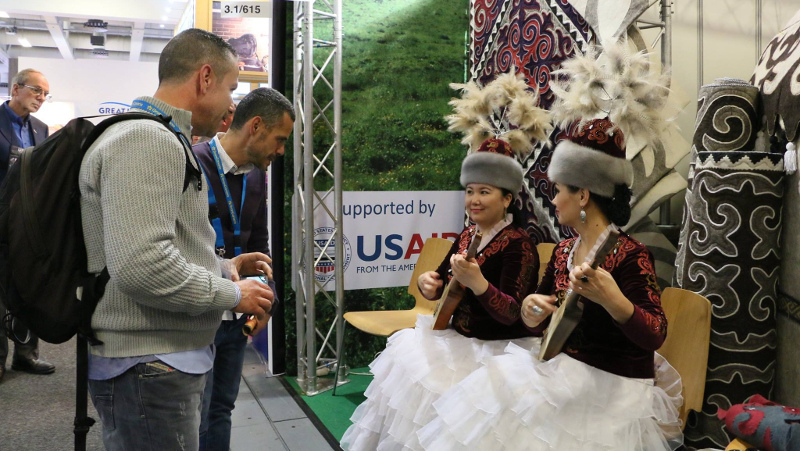 During networking sessions, Central Asian guests will meet with local tourism businesses and organizations to form stronger business partnerships for development of joint tour packages covering multi-country Central Asian tours.